Here's a scene that might be playing out in your home: You're noticing that your formerly not-so-musical child is joyfully belting out the lyrics to Hamilton night and day, and you're wondering how to capitalize on that singing spark. Or you're the parent of a toddler who is just starting to sing and dance; you want to nudge her interest along, but don't know how to get started. Your instincts are spot-on: If you are looking for a way to give your child a boost socially, emotionally and academically, you might just find the answer through song. “Children who regularly sing in a group develop self-confidence, self-discipline, listening and memory skills, and they demonstrate improved grades and academic achievement. 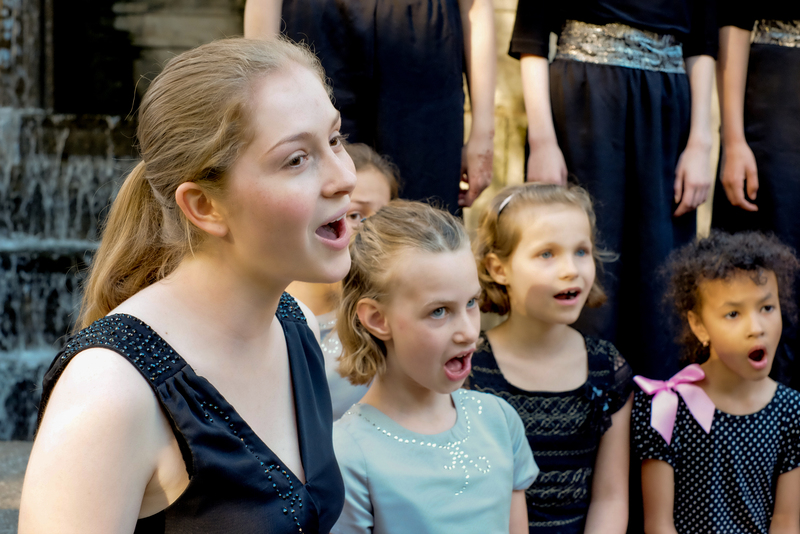 They develop confidence in their own abilities as singers and musicians, and they experience the joy and satisfaction of creating something beautiful in teamwork with others,” according to Sara Boos, artistic director and conductor for Northwest Girlchoir. The evidence is not just anecdotal. A growing body of research documents the calming yet energizing effect of group singing on people. What if my kid has a tin ear? A child who wasn’t successful at piano lessons, for instance, may enjoy the group dynamic of singing in a choir. 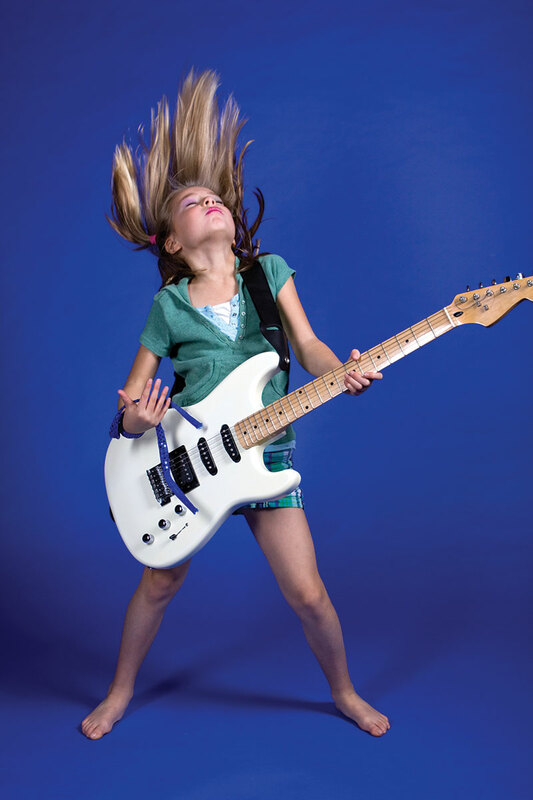 A child who doesn’t like to perform alone may find confidence performing as part of a group. And it doesn't have to be formal: Singing together with family and friends is also a wonderful way to enjoy music. Here is a range of ways to incorporate singing — and its multiple benefits — into your child's education, and life. You can get these benefits by singing at home, or take one of the many preschool music classes in our region, from Kindermusik to Music Together, which typically include movement, games, stories and simple rhythm instrument play. 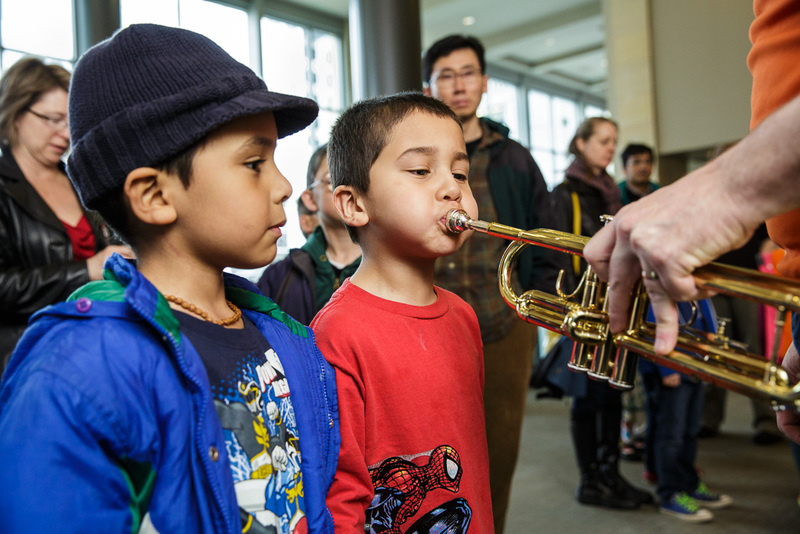 Or drop in at Soundbridge,Seattle Symphony's music discovery center, open each Friday for musical storytime and a chance to touch and play real instruments (price is pay what you can; suggested donation is $10). How will you manage a preschool music class if you don’t feel confidence as a singer? “Do it anyway,” encourages Rippee. “Children don't care." And let’s face it: Other preschoolers’ parents are probably too tired to judge your vocals. Starting at around 5, kids can a meaningful musical education by joining a choir: In addition to church and school choirs, there are 75 member choirs in the Greater Seattle Choral Consortium, at least eight of which are exclusively children’s choirs. 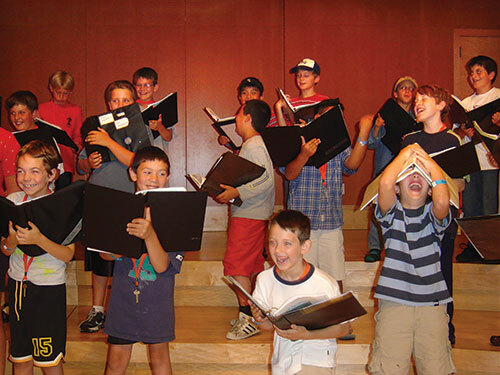 Kids can explore girl- or boy-only choirs or mixed-gender choirs for all ages. Or the whole family can get involved by seeking out a family choir such as the Columbia City Family Chorus. Many choirs offer scholarships for those who find the price of music education prohibitive; and different choirs ask varying levels of commitment from families. For example, choirs such as Northwest Girlchoir and Northwest Boychoir (unaffiliated), require multiple practice sessions a week, and, for higher levels, commitment to touring. But Endolyne Children’s Choir, based in West Seattle, doesn't require auditions and only a single afternoon of rehearsal a week. In a choir, your child may have the chance to sing music from other cultures, in other languages, classical music, historical pieces, and modern popular music. Musical selections and priorities will vary. Check out some concerts (seattlesings.org is a terrific resource) and explore the philosophical and musical goals of the choir to find your family’s best fit. Families have always loved musical theater, but the uber-explosive popularity of the blockbuster Broadway musical Hamilton has expanded its appeal — and showed that music can be a very effective tool for teaching history. For both new converts and longtime aficionados of musical theater, being in a show (or taking a theater class) is a great way to experience singing. 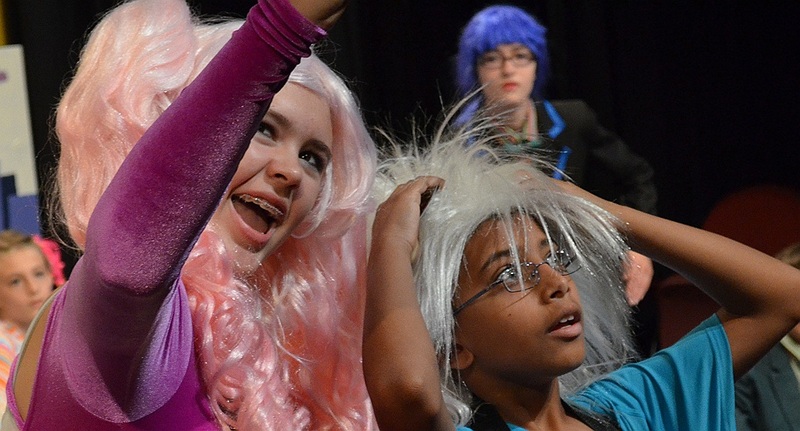 Around the Puget Sound, choose from intense, competitive, professional-quality experiences for teens, such as the Rising Stars program at the 5th Avenue Theatre, or from smaller theaters that support musical theater education and performances with kids of all ages, such as Studio East in Kirkland. You might even find a show featuring the music of Hamilton, such as last summer's program at Seattle Public Theater titled Revolution!, where the kids learned and performed a mash-up of songs and choreography from Hamilton and Les Miserables. Village Theatre's KidStage program, Seattle's Broadway Bound, Youth Theatre Northwest, and Olympia Family Theater's youth program are other well-known musical theater programs for kids (see more below). During almost five years as a lead vocalist with her School of Rock bandmates, Durbin's daughter, her mom recalls, did everything from memorizing lyrics to practicing until she mimicked the pitch, tone and tempo of The Doors singing "The End" and Wanda Jackson’s "Funnel of Love." Shoreline dad Brian Peterka realized his long-held goal of learning to play guitar when his youngest child, Zeth, was a baby. He started practicing guitar and singing to the kids at bedtime. Over time, his wife’s fiddle lessons and his guitar lessons lead to family jamming in the living room, eventually including the kids. Eventually, they snagged their first gig at an assisted living facility where Petarka's grandfather lived. Inspired by the satisfaction of an appreciative audience, the Peterka family started singing and playing music at other senior facilitities. They moved from there to farmers markets, political events, and even letting the kids try busking for money. Though the family plays less often together now, the kids still appreciate the gift of music they received. “I use music as an outlet,” notes their son Zeth, now a junior at Shorecrest High School. “If I am frustrated or upset, it’s a great way to release emotions.” And music to many parents’ ears, Zeth says he will often pick up his guitar to play and sing rather than turn to his phone when he is bored. Frances Davies started singing in a barbershop quartet when she was 13 — her mom’s group had an opening so she decided to audition (she did have experience in a youth choir). Now a junior at the University of Washington, she still sings with the group. “Barbershop is exciting!” says Frances. “In my quartet, I am the only one singing my part, so I have a lot of responsibility. I can change the sound of the quartet dramatically just by changing my voice. " As a gentle way to get involved in group vocal lessons, check out the monthly Circle Sing at Dusty Strings music shop in Seattle's Fremont neighborhood, which is open to singers of all levels and involves improvisational vocals, storytelling and call-and-response singing. A robust “shape note” singing community, also known as “Sacred Harp singing,” thrives in Seattle and also welcomes children of all ages. The tradition dates back to colonial America and is a low-pressure way to exploring singing with a group. It is literally okay to bring babes in arms to a “singing” (which is not a “performance” according to the shape note tradition). Seattle Historical Arts for Kids, which introduces young people to 12th–18th century music, dance, theater and culture, is another distinctive program. "One of the great features,” says Jennifer Truluck, whose daughter was in a recent Seattle Historical Arts production, "is that it appeals to kids who are also interested in history.” Likewise, the kids are singing demanding arrangements that require a lot of individual coaching, but without the competition that is often found in traditional classical music settings. Families typically think about singalongs around the holidays, when concerts such as Seattle Symphony’s Holiday Hooray singalong concert or the Tacoma Symphony’s Sounds of the Season concert encourage attendees to lift their voices alongside the official singers. But singalongs happen all year round. Every second Friday night, for example, you can sing sea chanteys at the Northwest Seaport Maritime Heritage Center, held aboard historic ships such as the Virginia V. at Lake Union Park. Or look ahead to spring and mark your calendar (April 1, 2017) for the annual Children’s Concert, a free, singalong show between the Seattle Men’s Chorus and Seattle Women’s Chorus.